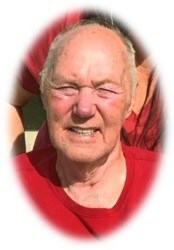 Thomas Joseph Pratt, age 72, of Orlando, Florida passed away on Monday, August 27, 2018 at Hospice of the Comforter. Thomas was born on October 15, 1945 in Brooklyn, NY, son of the late Edward and Ellen (Shields) Pratt. He was a longtime printer in the advertising industry in New York before his retirement to central Florida. As a child, he was an excellent swimmer, ran track, and boxed for several years. Family was everything to him. Thomas' daughter, Cindy, was the light of his life, and he loved his son-in-law Eddie like his own. He had such a strong love for his grandkids and never missed an event of theirs. Thomas is survived by his daughter, Cindy Pratt Reyes and her husband, Eddie; his son, Thomas Joseph Pratt, Jr., six grandchildren, Brandon James Reyes, Brittany Erin Reyes, Brianna Lila Reyes, Isaiah Daniel Reyes, Aislinn Daniella Pratt, and Jada Rose Pratt; two brothers, James Pratt and Martin Pratt; and a sister, Kathleen Brice. He was preceded in death by his parents; a son, Joseph Steven Pratt; and three brothers, Robert Pratt, Sr., Edward Pratt, Jr., and Richard Pratt. Funeral Service will be held on Friday, August 31, 2018 at 3:00 pm at Newcomer Funeral Home (Newcomer Cremations, Funerals & Receptions - East Orlando), 895 S. Goldenrod Road, Orlando, Florida 32822, with Deacon Don Warner officiating. Visitation will be Friday from 1:00 pm to 3:00 pm at the funeral home. To share your memories of Thomas or leave a special condolence message for his family, please click the Share Memories button above. Add your memories to the guest book of Thomas Pratt, Sr..